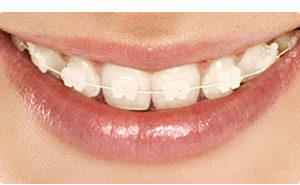 The greatest benefit of ceramic braces is their aesthetic appeal. Ceramic braces give you a subtle look that metal braces can’t yet you will be amazed to see that it works as effectively as metal braces. These brackets are stain resistant and help you retain the same color till the completion of the treatment.